When the founder of Basel bought 20 Holbeins in 1661, it changed the Swiss city’s future forever, turning it into what would become one of the world’s most preeminent centers of art. Three centuries later, Art Basel was born, gaining equally legendary status, with offshoots in Miami Beach and Hong Kong. One of only a handful of places in the world that straddles three countries — Switzerland, France and Germany — Basel has been a cosmopolitan metropolis for centuries. As early as 1679, the art historian Joachim von Sandrart praised the city’s “worthy elders for their great expenditure and diligence in collecting and highly honoring studies and the arts.” In the 1960s, a referendum voted in favor of buying two Picassos. The artist was so touched by the people’s decision that he donated several other canvases. Today, they hang in the Museum für Gegenwartskunst. 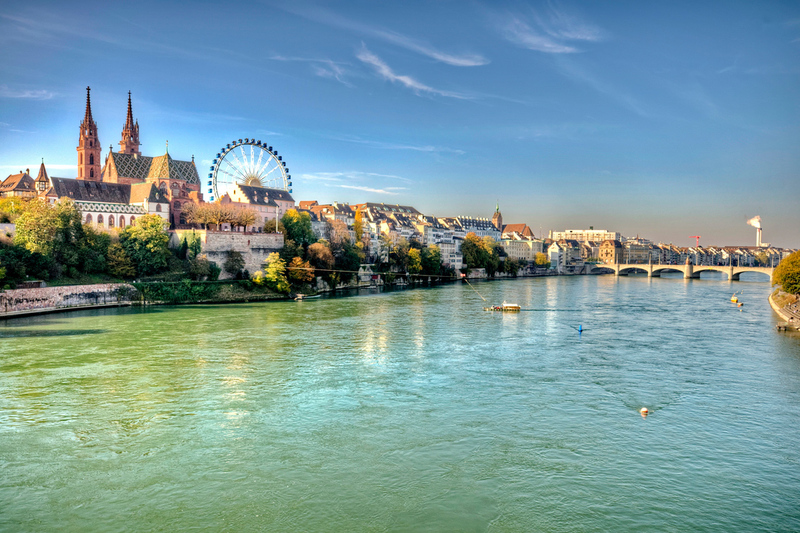 Modern-day Basel is an unsurpassed bastion of culture with no less than 40 museums as well as Michelin-starred restaurants, a historic Old Town, thermal baths, the glamorous Rhine River and nearby wine country. No trip to the city would be complete without visiting the Kunstmuseum. A major attraction since its founding in 1930, the new wing across the street takes this gallery’s appeal up a notch. Between these two breathtaking spaces you’ll find the largest public art collection in the country. The original museum houses pieces from the 15th Century to 1950, while the striking new building is dedicated to modern art, perfectly at home in the dramatic space, which unites metal, marble and scratched plaster. Contemporary art fans will be equally intrigued by the outstanding works at the Schaulager. Opened in 2003, the building contains the collection of the Emanuel Hoffmann Foundation, a body whose stated aim is to “collect with an eye to the future and make the works publicly available.” Another must-see is the Fondation Beyeler, which is in a strikingly designed building by Renzo Piano that uses red sandstone, porphyry from Argentina and large expanses of glass. Besides major temporary exhibitions, its permanent collection includes works by Bacon, Cézanne, Monet, Picasso, Rothko, Van Gogh, Rousseau and Warhol. Make sure to wear comfortable shoes and be prepared to stay a while! Art comes in many forms, including a very unusual Doll Museum, the largest museum of its kind in Europe. Its halls present more than 6,000 antique toys, some over 150 years old. This museum will be interesting to visit not only for tourists with kids, but also for adults. It is very popular among collectors. The focus on superlative design continues into the public spaces, making the old city a pleasure to explore. Wherever you walk in Old Basel, you will see fountains — the city has 158 of them! — and a well-mannered adherence to green as the color for shutters on buildings, continuing a tradition that began in Medieval times. In the square outside the theatre, a pool is populated by a dozen exuberantly playful fountains made by the extraordinary sculptor Jean Tinguely using cast-off backstage items. Basel’s Medieval Old Town is one of the best preserved in Europe. The city’s compact size makes the atmospheric streets a pleasure to explore on foot. 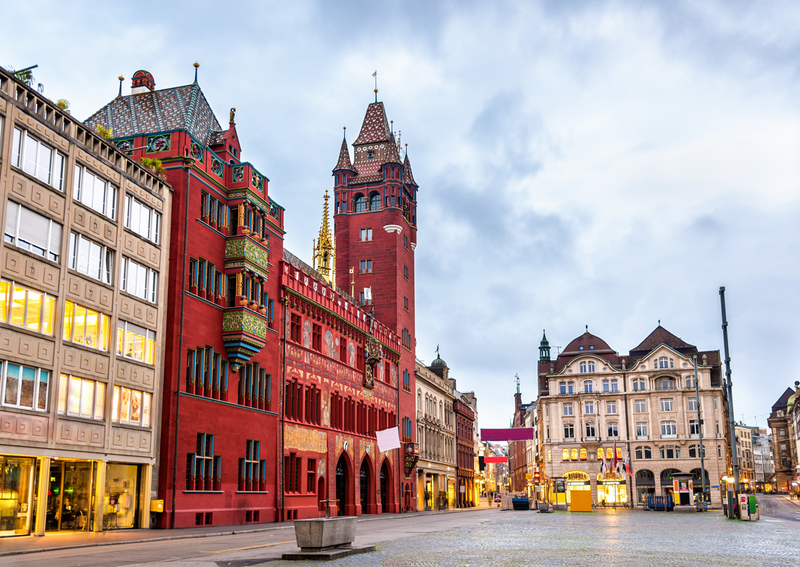 Here you can linger over centuries-old homes along the lanes of Spalenberg, the former artisans’ district, before exploring the red sandstone Basel Minster and 600-year-old Spalentor Gate, decorated with the city’s coats of arms. The local government has created 5 walking tours around the historic center, each marked on maps available online (Basel.com), on an app (iTour Basel) or in-person at tourist information booths. The city’s focal point is the marketplace, dominated by the sienna sandstone town hall dating from 1504 and extended a century later with a splendid oriel window and frescos around an inner courtyard by Hans Block. From a corner of the square, a road twists through Old Town’s cobbled streets and alleyways, populated by interesting locally owned shops, up to the Münster cathedral. Dramatically sighted on a terrace above the Rhine and standing in a tranquil, tree-filled square, the cathedral was built on the site of a Roman oppidum of 30BC, consecrated in 1019, destroyed by an earthquake in 1356 and ultimately rebuilt to a much larger plan. Freie Strasse, Basel, Switzerland – March 7, 2017. 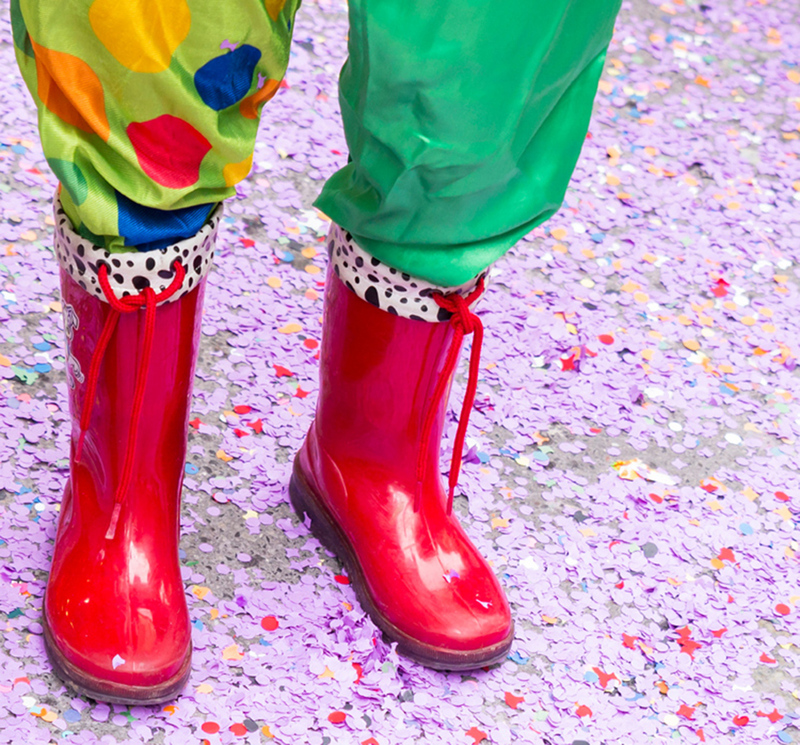 A carnival participant in red rubber boots stays on a confetti covered street during the children’s carnival on Tuesday. Of course, no trip to Basel would be complete without mentioning the food. The area is home to a trio of restaurants with 3 Michelin stars. The newest addition to the list is located on the banks of the Rhine. Set in the handsome Les Trois Rois Hotel, Cheval Blanc by Peter Knogl is a wonderful union of stuccoed ceilings and chandeliers, gilded furniture and art. In warmer months, there is also alfresco dining. Meanwhile, in Bruderholz, on the outskirts of town, chef Tanja Grandits’ 2-starred restaurant Stucki sees 8- and 12-course degustations themed around color: an eye-popping yellow dish might, for example, pair egg yolk with fennel flower butter, chicory and mustardseed polenta. The banks of the Rhine in Kleinbasel on the opposite side of the river to Old Town — come to life when the sun shines, with locals descending for lazy lunches or a beverage at the end of the day. Things get particularly busy on weekends, when picnickers pull out rugs and blankets in the morning with no intention of leaving before nightfall. Seasonal kiosks, known as buvettes, operating out of remodeled shipping containers or food trucks, feed the crowd everything from caipirinhas to ice-cream and cold beer. Speaking of ice-cold, after looking at glorious art works, stop by the thermal baths. One of the most expansive collections of pools can be found at Sole Uno, the spa complex at Parkresort on the outskirts of Basel. The facilities here range from saltwater pools to scented steam rooms, a rainforest-themed shower, saunas and hammams. The fire and ice pools see water heated and cooled to different temperatures, while signature treatments take inspiration from Finland and Russia. 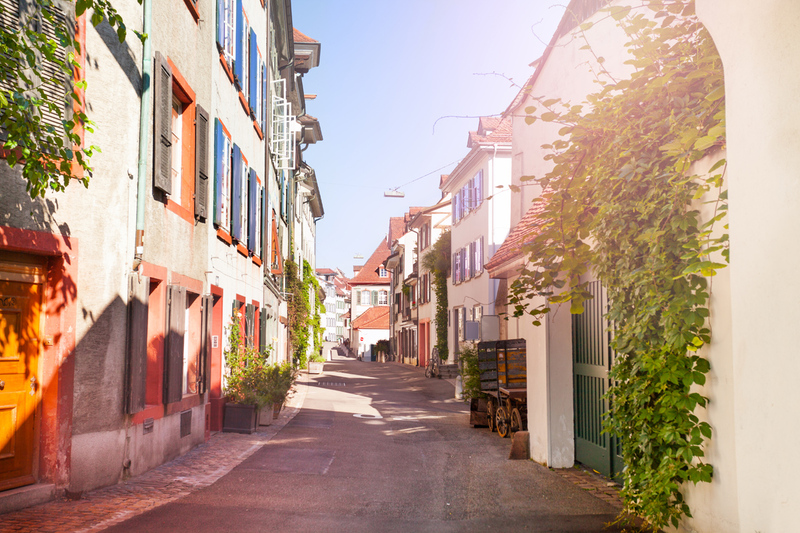 Since Basel lies on international borders, some of its suburbs spill into neighboring countries. Because of this, make sure to schedule a lot of extra time on your trip to take advantage of the city’s unique location. And, whatever you do, make sure to bring your imagination along — you never know when inspiration may strike.